This statistic is based on a survey conducted in January 2019. It displays U.S. adults' opinions about if the United States has the best health care system in the world. 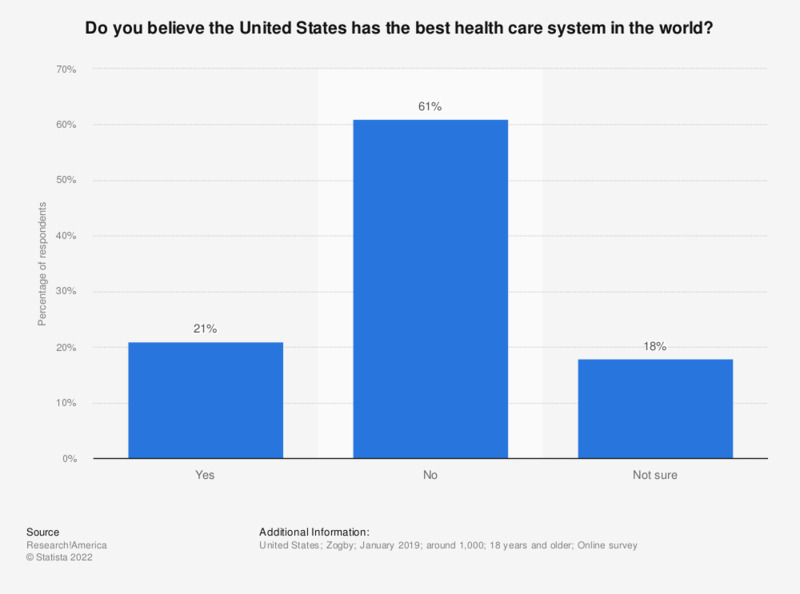 Some 61 percent of adults did not believe that their country has the best health care system worldwide.